This morning in Split Rock Wildforest I had the extreme pleasure of hiking with four great outdoorsmen. 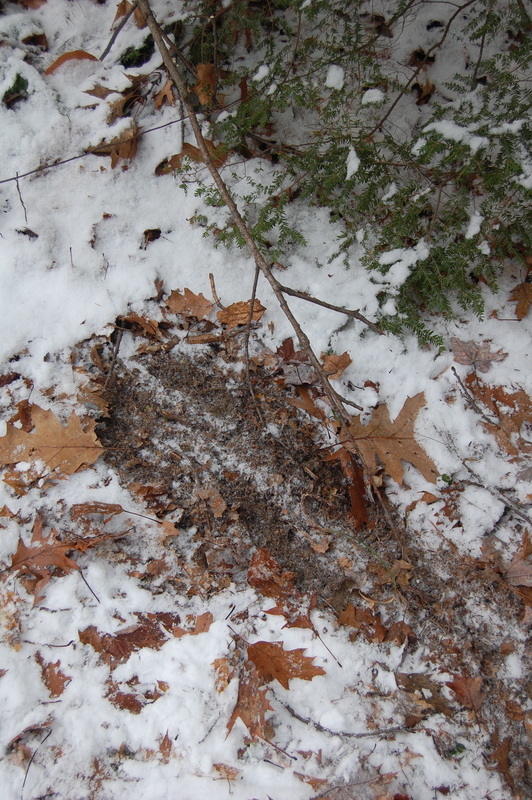 We tracked a group of three coyotes for about 30 minutes, noting this very deliberate scent mark by one of them. The story was pretty east to read. The coyote came from one direction, scratched the snow off the ground, apparently paused to mark the soil and small branch and then headed off where it came from, as though marking a boundary line. Both the soil and the twig gave off a distinct odor of urine. The tracks were all fresh, being set in the snow that fell yesterday over bare ground.